The posts appear to have come from the IP address of a server located in Bogatov’s home, but this server is a part of the Tor network—an exit node that routes anonymous traffic from all over the world and makes it appear to have originated from that computer. There is considerable evidence that Bogatov did not post the content at issue. According to a Global Voices report, “Surveillance footage shows Bogatov and his wife leaving a supermarket four minutes before one of the posts was made on March 29. Given that the supermarket is half a kilometer from their home, it is unlikely that Bogatov could have made it home and posted online within four minutes.” Additionally, “Ayrat Bashirov” has continued posting on the forum and has even exchanged messages with an Open Russia journalist explicitly denying that he is Bogatov. Tor exit node operators mistakenly accused of crimes committed from their exit nodes is nothing new. This is one of the reasons that EFF cautions against running an exit node in your home in its Legal FAQ for Tor Relay Operators. In the past, law enforcement has always backed down once it had become clear that they had the wrong party. But rather than acknowledge their mistake, the Investigative Committee (the main federal investigative committee in the Russian Federation), appears to be doubling down. When a judge initially ruled that the charges against Bogatov were not serious enough to justify his continued detention, the Investigative Committee added the second, more serious charge of inciting terrorism. Days later, the court upheld the additional charges, formally arrested Bogatov, and ordered that he be held until his trial date on June 8. The arrest comes in midst of an online crackdown related to anti-corruption protests in cities across Russia on April 2. The protests have resulted in the arrest of hundreds of individuals, including Leonid Volkov, who was arrested for having livestreamed the protests. Volkov was detained for ten days, and as a result was unable to attend RightsCon, where he was scheduled to speak about Russian surveillance systems. 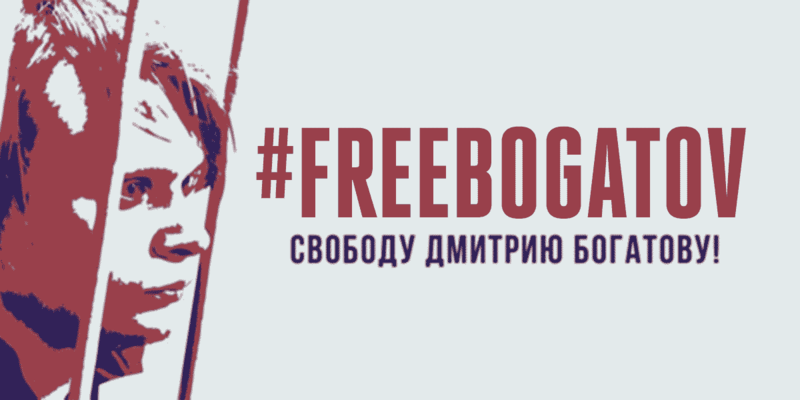 As global organizations working to defend human rights, Access Now and EFF condemn Dmitry Bogatov’s continued detention and the detention of others by Russia or other governments for exercising their human rights or facilitating increased internet security. Put simply: running a Tor exit node is not a crime and Tor exit node operators should not be treated like criminals.